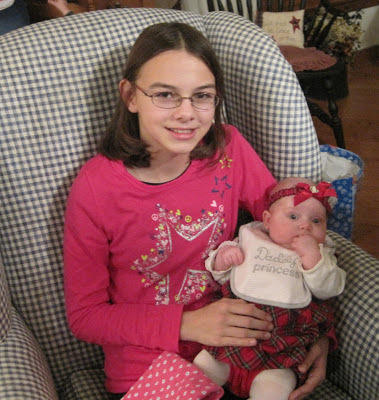 Our oldest daughter celebrated her twelfth birthday last month. As we visited family and friends over the holidays, many remarked on how much she’s grown lately. It’s a fact; she’s mere inches from being able to look me in the eye – and is loving it! While her physical growth is exciting, I also want to ensure that we as parents are helping her grow in other areas. Are we growing her spirit? Helping her learn to handle disappointments, peer pressure, and a blossoming desire for independence will be important for the coming years. This is also an age where maintaining a proper attitude can make a big difference in how she interacts with us and others. Are we growing her compassion? Is she learning to empathize with others who are struggling in some way or who have disabilities? I battle with this myself, tending to get so wrapped up in my own life that I neglect to notice the needs of others. We can work on this together. Are we growing her generosity? A willingness to give and a heart quick to share with someone else will bring rewards for the rest of her life. My prayer for her every morning is that she would have a desire to grow in her relationship with God. As we seek to walk with Him, we’ll both grow in all the right ways. Happy 12th Birthday to your daughter! My oldest is 12 as well and physically just an inch away from being as tall as I am. She's thrilled. 😉 But I love your focus on the other areas of growth for your daughter. My prayers for my daughter are the same and it is a gift to see how she's growing in these areas as well. I really enjoy your perspective with your older girls. Since mine are quite a few years younger, you're showing me the things I need to work on now to get where you are. Thanks for the advice and encouragement! Oh, I'm sure you know how quickly they will become "older" girls! I often pray that my relationship with our daughters will continue to be strong and that they will have hearts that are open to instruction from us, as parents, and from their Lord. My oldest daughter is 10 and already I am teaching her about proper attitude. I don't buy into the lie that adolescents or teenagers simply are grumpy and have bad attitudes and we should excuse their behavior. Bad attitudes, anger, complaining, etc…are sinful and not pleasing to the Lord. However, as I type this, the Lord is convicting me as well. It truly is a life-long battle we face. Thank you for sharing about how you are striving to make your daughter a truly beautiful young lady for the Lord's glory. Thank you for your thoughtful comment! Yes, as I seek to lead my two daughters in ways that are pleasing to God, I find myself convicted about my own sins as well. I need many prayers – especially for wisdom – in this parenting journey.